Discover what it's like to spend a year in space in this awe-inspiring memoir from a real-life NASA astronaut who did just that! Prepare to blast off with astronaut Scott Kelly as he takes readers on a journey through his year aboard the International Space Station and his life prior to becoming a true American hero. Discover the extreme challenges of long-term spaceflight, the pressures of living in close quarters with people from many countries, the extremely dangerous risk of colliding with space junk and the unnerving feeling of not being able to help if tragedy strikes at home. Find out the story of Kelly's childhood, his struggles in school, and ultimately the inspiration that sparked his incredible career, and the training to become a test-pilot and then astronaut. 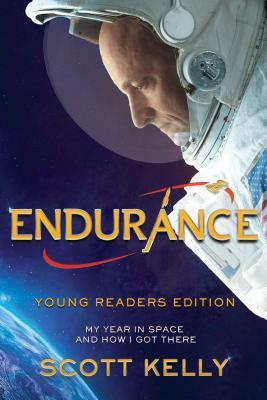 This personal and fascinating story, newly adapted for young readers from the New York Times bestseller, will encourage aspiring astronauts and young readers everywhere to believe in the impossible and reach for the stars. SCOTT KELLY is a former U.S. Navy fighter pilot, test pilot, and NASA astronaut. Kelly retired from the Navy at the rank of captain after twenty-five years of service. A veteran of four spaceflights, Kelly commanded the space shuttle Endeavour in 2007 and twice commanded the International Space Station. He has spent more than 520 days in space and holds the record for the longest single mission by a U.S. astronaut. He lives in Houston. You can follow him on Facebook, on Instagram, and on Twitter at @StationCDRKelly.